In a new study of Psittacosaurus fossils from China carried out by University of Pennsylvania researchers, the number of known species of this dinosaur has been reduced from fifteen to thirteen. It seems that what was once thought to be three different types of “parrot lizard” living in China actually may be just one species. Differences in the morphology of the fossil material had led to the establishment of three separate species but these differences relate to compression and distortion that occurred as the fossil material was buried and preserved, they do not relate to anatomical differences that would be expected if these animals were indeed different species. Psittacosaurus is one of the most abundant and speciose genera of all the known Dinosauria. 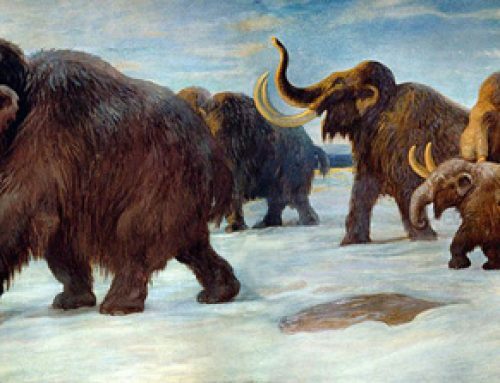 There had been fifteen named species, with fossil finds in Russia, Mongolia and Thailand as well as in China. The research team, writing in the scientific jounal PLoS One (Public Library of Science), state that what was once thought of being three separate species from the Psittacosauridae family excavated from strata in the Yixian Formation of north-eastern China – P. lujiatunensis, P. major, and Hongshanosaurus houi are actually the same dinosaur. 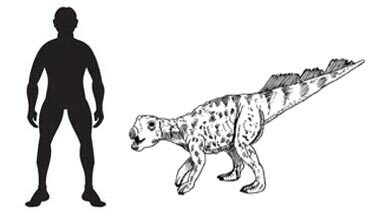 All the Psittacosaur material represents P. lujiatunensis. Known to science for ninety years or so, Psittacosaurs were relatively small, slender, bipedal members of the Ornithischian group of dinosaurs. Fossils date from around 130 million years ago to approximately 100 million years ago. Most probably herbivorous, these dinosaurs, most of which were less than two metres in length, are distantly related to the giant Late Cretaceous horned dinosaurs such as Triceratops, Styracosaurus and Chasmosaurus. Psittacosaurus proves that three into one does go. The research team used a process called three-dimensional geometric morphometrics to compensate for the crushed and distorted fossil material, thus revealing the affinities between different fossil specimens. This is the first time this laser-based examination technique has been used on dinosaur fossils and this study could have implications for other genera. Assessing the shape of dinosaur skulls. Over the last thirty years or so a large number of horned dinosaur fossils have been found in North America. As a result, many new genera and species have been erected. Three-dimensional geometric morphometrics if applied to North American Ceratopsian specimens may help to confirm speciation or indeed lead to a re-assignment of some fossil material.